"He's extremely easy to work with, he understands clients' commercial drivers as well as the law, and he is incredibly good on his feet." "a real star in the making" "a very dangerous opponent"
Fionn Pilbrow is a highly-regarded and well-established commercial practitioner, with an enviably broad commercial practice. He is above all a litigator and an advocate, applying that expertise across the broad spectrum of commercial work. Prior to taking silk in 2019, he was ranked as a leading junior in 7 different practice areas by Chambers & Partners 2019 – Commercial Dispute Resolution, Energy & Natural Resources and Fraud: Civil (all band 1); International Arbitration (band 2); Banking & Finance, Insurance and Professional Negligence (band 3) – and 8 different areas by the Legal 500 – Banking & Finance; Commercial Litigation; Commodities; Energy; Fraud: Civil; Insurance & Reinsurance; International Arbitration; and Professional Negligence. He won International Arbitration Junior of the Year at the Chambers Bar Awards in 2013 and Commercial Litigation Junior of the Year at the Chambers Bar Awards in 2015, as well as also being nominated as Commercial Litigation Junior of the Year at the Legal 500 Bar Awards 2018 and Energy Junior of the Year at the 2019 Legal 500 Bar Awards. 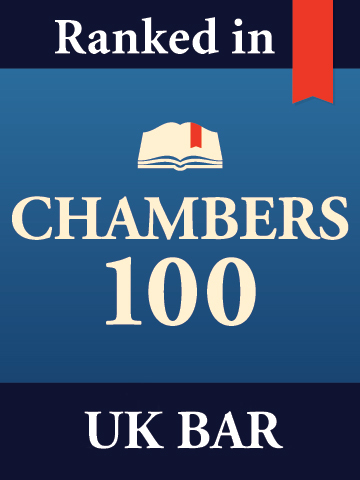 He was also included within the inaugural Chambers 100 UK Bar list of top 100 juniors practising at the Bar of England & Wales. Fionn has a busy and wide-ranging commercial practice, advising on and appearing in disputes spanning the full breadth of Chambers' commercial work, both in litigation and arbitration. He appears generally as a leader or sole advocate, but is equally at home as a member of a team where the nature of the case demands that. He appears most regularly in the Commercial Court but also acts regularly in the Court of Appeal and the Chancery Division, and has appeared in the Supreme Court, the Technology and Construction Court and the Administrative Court. He also acts frequently in arbitration, and he has particular experience of arbitrations under LCIA, ICC, UNCITRAL, ARIAS, Stockholm Chamber of Commerce and LMAA rules, and the Swiss International Rules of Arbitration, as well as ad hoc arbitrations pursuant to the Arbitration Act 1996. Fionn Pilbrow is a well-established commercial barrister. All of his work can broadly be described as commercial litigation. He is regularly instructed in commercial disputes, big and small, international and domestic, arising out of all industry sectors and professions, in both litigation and arbitration. He has particular experience of high-value, high-profile, high-pressure disputes. As such he has extensive experience of all aspects of the preparation and conduct of heavy trials, involving substantial factual dispute and/or extensive expert evidence, as well as of all types of jurisdictional and interlocutory dispute. He is an experienced advocate, well used to having conduct of trials and interlocutory matters, in the Commercial Court and other divisions of the High Court. He is recommended by Chambers and Partners, Chambers Global and the Legal 500 as a leading barrister for commercial litigation / commercial dispute resolution, won Commercial Litigation Junior of the Year at the Chambers Bar Awards in 2015 and was nominated as Commercial Litigation Junior of the Year at the Legal 500 Bar Awards 2018. A substantial proportion of Fionn Pilbrow’s commercial practice takes place in arbitration. Over the years, for example, Fionn has acted: for a Russian oligarch in an LCIA arbitration; for a Swiss oil trader in a London arbitration under LMAA Rules; for a major European bank in an ICC arbitration against a central European state; for an international oil company in a series of arbitrations under the UNCITRAL Rules (with a Stockholm seat); for a reinsurer in a Bermuda form arbitration; for an international energy company in an arbitration under LCIA Rules; for an aluminium company in a dispute under the Swiss International Rules of Arbitration; for an international commodity trader in an LCIA arbitration; for a major Brazilian steelmaker in an ICC arbitration; for a Russian telecoms operator in a series of arbitrations under the LCIA Rules; for a major oil trader in an LCIA arbitration; for a major insurer in connection with an ad hoc arbitration arising under the Arbitration Act 1996; a commodity trader in a FOSFA arbitration; for a major American insurance company in an ad hoc reinsurance arbitration; for a Russian entity in an ICC arbitration with a Geneva seat; for a captive insurer in an ad hoc arbitration under the Bermuda Form; for a reinsurer in a dispute under ARIAS rules; and a shipowner in an LMAA arbitration. Equally, Fionn has experience of applications to the English courts in support of or in connection with domestic and international arbitrations, including applications for interim relief and injunction, applications to recognise and enforce foreign awards and challenges to awards. He is recommended by Chambers and Partners, Chambers Global and the Legal 500 as a leading barrister for international arbitration, and won International Arbitration Junior of the Year at the 2013 Chambers Bar Awards. Fionn Pilbrow has acted in and advised in relation to numerous banking and finance disputes. He also advises in relation to non-contentious banking and financial services matters. Recent work includes: numerous cases of claims made under security documents; acting in disputes in the Commercial Court and also in the Cayman Islands arising out of the sale of a fund of funds business; acting for a German bank in a series of claims arising from the sale of its interest in Formula 1; acting for a European Bank in a claim under a performance guarantee agreement against a Central European State; acting for a lender in an appeal raising issues as to the recoverability of swap agreement break costs; acting against a major bank in substantial breach of confidence case in the Chancery Division; advising a bank acting as trustee holding legal ownership of a business worth c. £3-4 billion in relation to disputes as to the management of the business; acting against a bank at first instance and on appeal in a dispute arising under a letter of credit on UCP 600 terms; acting for a claimant seeking to recover from a financial institution under a demand guarantee; acting for a large number of high-net-worth individuals bringing misrepresentation claims against a major bank; acting for a hedge fund pursuing a breach of contract claim against a strategic investment fund. 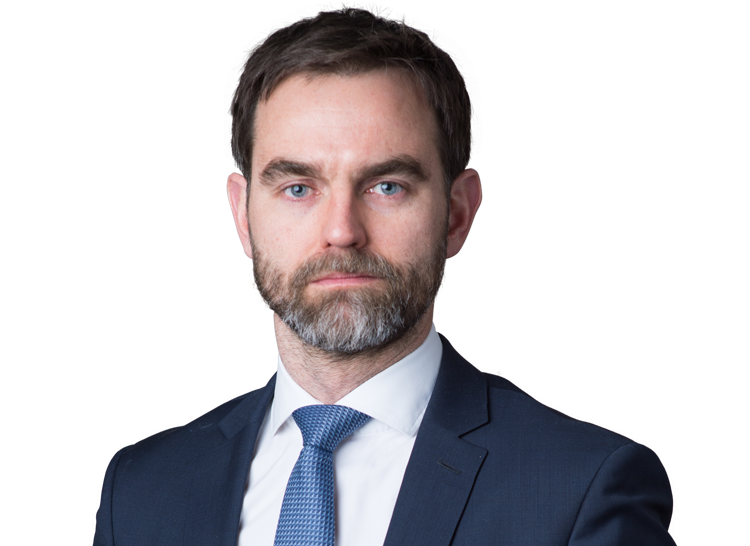 Fionn also has experience of advising in relation to regulatory matters: in recent years he has advised both companies and advisers in respect of alleged breaches of the Listing Rules and the Takeover Code. 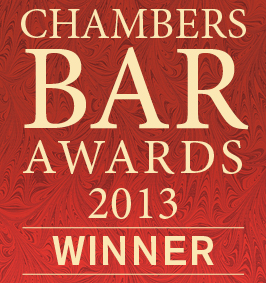 Fionn is recommended by both Chambers and Partners and the Legal 500 as a leading barrister for Banking & Finance. He is also a contributor to Butterworths' Banking Law Guide (edited by Mark Howard QC and Roger Masefield). Fionn Pilbrow acts regularly in disputes arising in the energy and natural resources fields. Indeed, his specialism in the field led to him being nominated as Energy Junior of the Year at the 2019 Legal 500 Bar Awards. In recent years he has acted: for a mining company in a dispute arising out of the sale of a copper mine in Peru; for a Nigerian oil company in a c. 1.5 billion fraud claim; for an oil major in a €1 billion claim for breach of contract and breach of confidence; for a North Sea oil company in a dispute under a Farm-In Agreement; for an oil trading company in a $350 million fraud claim; for BP in the TNK-BP dispute between BP and its Russian joint venture partners arising out of BP's proposed strategic alliance with Rosneft; for a major European energy company in a dispute arising out of the potential exploitation of gad fields in Kurdistan; for ENRC in a dispute relating to a Brazilian iron ore mining project; for an oil trader in a claim arising out of the supply of crude oil to Romania in the 1990s; for the defendant in a dispute relating to the sale and purchase of Tanzanian gold mining licences; for parties involved in North Sea oil disputes arising out of Farm-In Agreements and out of Capacity Reservation and Transportation agreements; for the claimant in a dispute arising out of the sale of a Nigerian oil field; for the defendants in LCIA arbitral proceedings relating to allegedly off-specification coal; in a dispute arising out of the purchase of a company owning a large portfolio of carbon credits; in an LCIA arbitration arising out of the late delivery of a quantity of coal; for the claimant in a dispute over the ownership of a platinum mine; in a dispute arising out of the delivery of Kazakh rapeseed; in a dispute arising out of a contract for the delivery of fuel oil. 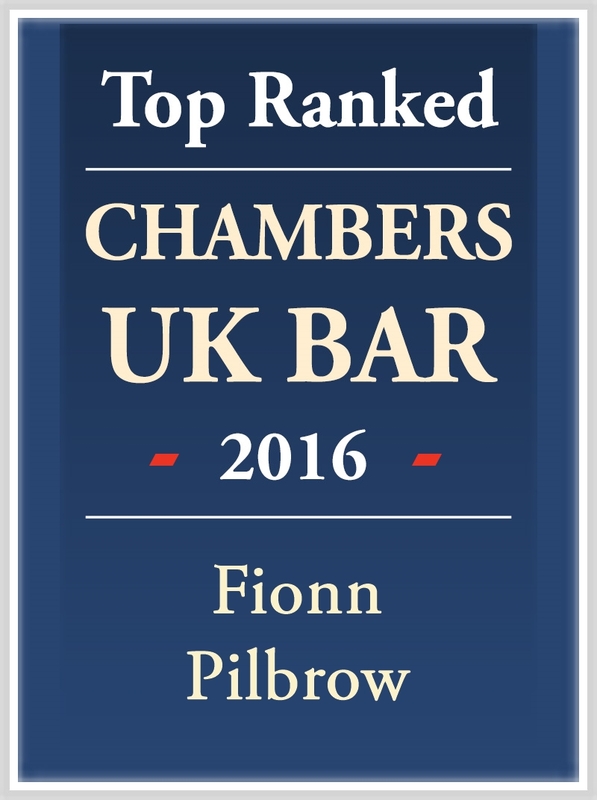 Fionn is recommended by Chambers Global, Chambers and Partners and the Legal 500 as a leading barrister for Energy & Natural Resources. Fionn Pilbrow has acted in numerous civil fraud matters. He is often consulted in the early, investigatory stages of fraud cases, and has experience of obtaining and resisting freezing injunctions (domestic and worldwide, both pre- and post-judgment) and search orders. He also has experience of dealing with forensic IT and document examination expert evidence. Recent work in this field includes the following: appearing for the Defendants in a bribery / conspiracy case said to have led to the collapse of a FTSE 250 listed company and giving rise to a claim of c. $1.5 billion; acting for an oil trading company in a $350 million fraud case involving freezing injunctions, proprietary injunctions and issues of jurisdiction; acting for Glencore at first instance ( EWHC 666 (Comm)) and in the Court of Appeal ( EWCA Civ 778 and [2017 EWCA Civ 195) in Petrom v Glencore; acting for the defendant in a claim alleging fraud and corruption in an Eastern European oil trading business; acting for Bayern in its claims arising out of the bribery of one its board members in connection with the sale of its interest in Formula 1; he appeared for the Claimants in the Fiona Trust litigation ( EWHC 3199 (Comm);  EWHC 664 (Comm);  EWHC 715 (Comm) ; EWHC 1312 (Comm), a case raising wide-ranging allegations of bribery, conspiracy and corrupt practice; he acted for the claimant in a $200 million Nigerian case in which allegations of bribery and corruption were raised; he acted for a defendant in a case in which allegations of bribery and corruption were made by the claimant against one of its employees and various of its suppliers; he advised in relation to allegations of fraud and mismanagement in a very substantial family-owned business; he acted for insurers in a case arising out of a substantial mortgage fraud; he advised a utility company in relation to industry-wide fraud, with potential losses estimated to be in the tens of millions of pounds; he acted in a Commercial Court claim arising out of a large insurance fraud, centring on allegations of breach of authority, breach of fiduciary duty, conspiracy and dishonest assistance and involving numerous freezing injunctions and search orders; he advised a major supermarket in relation to a fraud perpetrated by certain of its employees in conjunction with one of its suppliers; and, he acted in a case to order for the preservation of documents and evidence in a claim against a fraudulent employee. Fionn is recommended by both Chambers and Partners and the Legal 500 as a leading barrister for Civil Fraud. Fionn Pilbrow has advised on cases involving allegations of negligence on the part of insurance brokers, accountants, auditors, solicitors, valuers, financial advisers and liquidators. In recent years, he has: acted for administrative receivers accused of breaches of equitable duty; acted for accountants alleged to have provided negligent tax advice; acted for the claimant bank in a series of over-valuation claims against surveyors; acted for solicitors facing allegations of negligent conduct (and regulatory/disciplinary proceedings) in connection with a takeover; acted for liquidators facing allegations of negligence in their conduct of a liquidation; advised financial advisers accused by a client of having given negligent advice; acted for an insured in a negligence claim against insurance brokers; acted for auditors facing allegations of negligence in their audits of various public sector/education sector entities; acted against solicitors in relation to the provision of allegedly negligent advice in the context of a ship purchase; and acted for accountants in relation to allegations of negligent advice on the tax treatment of tips. Fionn is recommended as a leading barrister in Professional Negligence by both Chambers and Partners and the Legal 500. Fionn Pilbrow has an extensive commodities and international trade practice, both in litigation and in arbitration. He appeared in Standard Chartered Bank v Dorchester LNG (2) Limited (the “Erin Schulte”) in both the Commercial Court and the Court of Appeal – which is now the leading authority on a number of issues relating to bills of lading and letters of credit. In recent years he has: acted for a Swiss oil trader in a claim arising out of the delivery of an off-spec cargo and consequent contamination of other cargoes; for a Singaporean oil trader in a dispute arising out of the supply of various cargoes of Naphtha; acted for Glencore in a dispute relating to the supply of crude oil; acted for a Swiss company in a $70 million arbitration relating to the supply of aluminium and prepayment obligations incurred in connection with that supply; acted for a Swiss company in a Commercial Court dispute arising out of a contract for the sale and purchase of 4 cargoes of crude oil; advised a Brazilian company in a dispute under a long-term contract for the delivery of pellet feed. He also has experience of disputes under, and cases up to the Commercial Court arising out of, various different arbitral rules, including ICC, LCIA, GAFTA and FOSFA. He has also acted in a large number of “dry” shipping cases, arising in the Admiralty Court, the Commercial Court and in arbitration (including, amongst others LCIA and LMAA arbitrations). He acted for the claimant Russian state-owned shipping companies in the Fiona Trust litigation, and for the successful Charterers in Gard Shipping AS v Clearlake Shipping Pte Ltd (the “Zaliv Baikal”)  EWHC 1091 (Comm);  2 All ER (Comm) 179;  2 Lloyd’s Rep 38;  1 CLC 951. Other recent work includes the following: acting for owners in a claim for misdelivery under a bill of lading; acting in an LCIA arbitration arising out of the arrest of a vessel; advising charterers in respect of a claim arising from a substantial fire on a vessel; advising Indian companies in connection with a dispute arising under a long-term contract of affreightment; advising cargo interests in connection with a general average claim; advising in relation to a dispute arising out of a ship sale purchase agreement; a dispute arising out of a contract for the disposal of decommissioned naval vessels. He has been involved in numerous disputes raising issues such as short delivery, off-spec delivery, seaworthiness, force majeure, the construction of charterparties and the like. Fionn is recommended as a leading barrister in Commodities by the Legal 500. Fionn Pilbrow has advised on and appeared in a wide range of insurance and reinsurance disputes, both in the High Court and in arbitration. Representative experience includes the following: acting for a captive reinsurer in a Bermuda Form arbitration; acting for a policy holder in claims against it insurer and its insurance broker arising out of the acting for Equitas in a claim brought against it as statutory assignee of the original reinsuring Lloyds syndicates; advising in relation to a claim against insurers and insurance brokers arising out of the fire which destroyed Weston-super-Mare’s Grand Pier; acting for insurers in a Commercial Court claim arising under the Third Parties (Rights Against Insurers) Act 1930; advising insurers in relation to substantial claims arising out of a large mortgage fraud; a dispute in relation to broker’s liability for premium; acting in a series of connected reinsurance arbitrations in Bermuda on behalf of a captive insurer arising out of fraudulent tax schemes; acting for the reinsurer in an ARIAS arbitration raising avoidance issues; acting for insurers in respect of a substantial claim arising under a binding authority; acting in a series of arbitrations arising out of a reinsurance spiral; and, BP v Aon  EWHC 424 (Comm) which concerned the establishment of a duty of care on the part of sub-brokers. 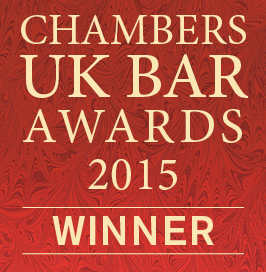 Fionn is recommended as a leading barrister for Insurance & Reinsurance by Chambers and Partners and the Legal 500. Fionn Pilbrow has been involved in a number of information technology and telecoms cases. He was led by Mark Howard QC in BSkyB v EDS  EWHC 86 (TCC), which arose out of the tender for the implementation of, and the implementation of a CRM system, and he appeared, with Jonathan Sumption QC, in T-Mobile v Bluebottle and Virgin Mobile  EWHC 379 (Comm), which related to the operation of Virgin Mobile, then a joint venture between T-Mobile and Virgin. In recent years, he has: acted for a major Russian telecoms provider in a dispute arising out of its purchase of another provider; acted for a company alleged to be in breach of a software agreement; acted in a £15m dispute relating to the provision of internet services; acted for a software company that was restrained from marketing or selling its software for an alleged breach of an exclusivity agreement; advised a local council in relation to a dispute with a provider of specialist software, outsourcing and information technology services; and, advised a FTSE 100 company in relation to a dispute concerning the deployment of a large suite of software licences. Some of the commercial disputes in which Fionn Pilbrow is instructed arise within the media and entertainment fields. For example, he was instructed in William Hill Organization Ltd v Playtech Software Ltd  EWHC 836 (Comm), a dispute relating to an online gambling joint venture. In addition, he has: acted on behalf of Kangol in a dispute arising under an exclusive licence; represented the defendant in a dispute arising out of a failed celebrity hairdressing venture; and, advised in relation to a licensing dispute arising out of the Indian Premier League. BA (Hons) History (1998) (First Class); M Phil History (1999) (First Class, top in year); CPE/Diploma in Law (2000); Bar Vocational Course (2001); MA (Oxon) (2002). Fionn speaks French and is a qualified PADI diving instructor.